wildlife «Suad Bejtovic Photography etc. Suad Bejtovic Photography etc. As I mentioned in my previous post, I visited the Dry Tortugas National Park while in Florida in December 2012. After exploring the Fort Jefferson on Garden Key a little, I decided to take a walk around Bush Key, connected to the Garden Key by a short sandbar that was conveniently dry for this visit. You can see that on this photo, taken from the top of Fort Jefferson. In the background and to the right, you can see Long Key, but more about that in a moment. 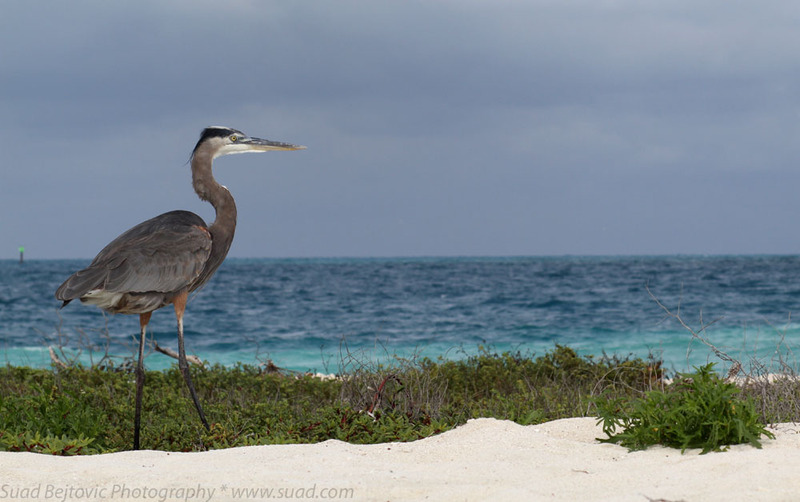 Bush Key is a tiny island by any measure, but it has an interesting and fragile ecosystem. The National Park Service web site states it is closed for visitors, but on the day I visited, there was only a sign asking that you stay on the sandy beach and do not attempt to walk into the interior of the island. This is to protect the habitats of several native wildlife species, particularly terns, which nest there. There were numerous conch shells on the island, as well as some fragments of coral, and it took some effort not to step on some of this beautiful inventory. At some places, the going got tough, and I slammed my camera into the sand when I attempted to climb a sandy slope and lost my footing. 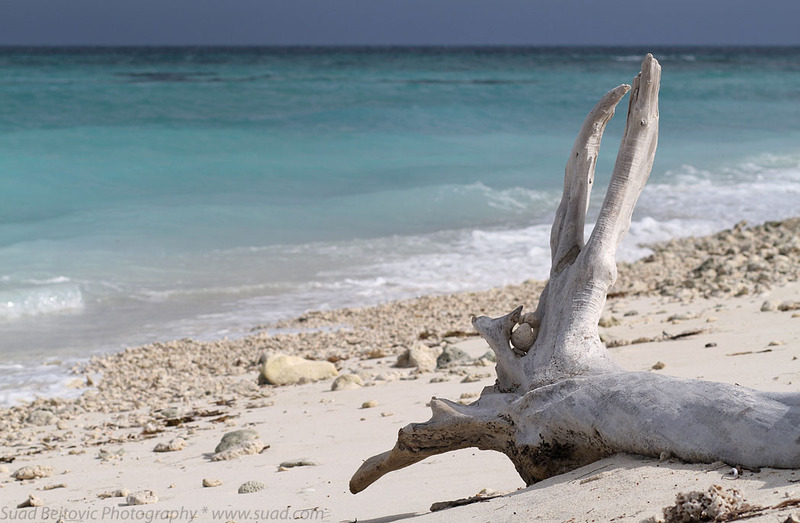 The sun had a hard time poking through the clouds, but at one opportune moment, I snapped this shot of a sun-bleached drift wood against beautiful palette of green and blue colors of the waters of Gulf of Mexico. Halfway around Bush Key, there is a sign asking visitors to refrain from walking onto the Long Key, which is home to many species of birds, some of which were quite majestic. 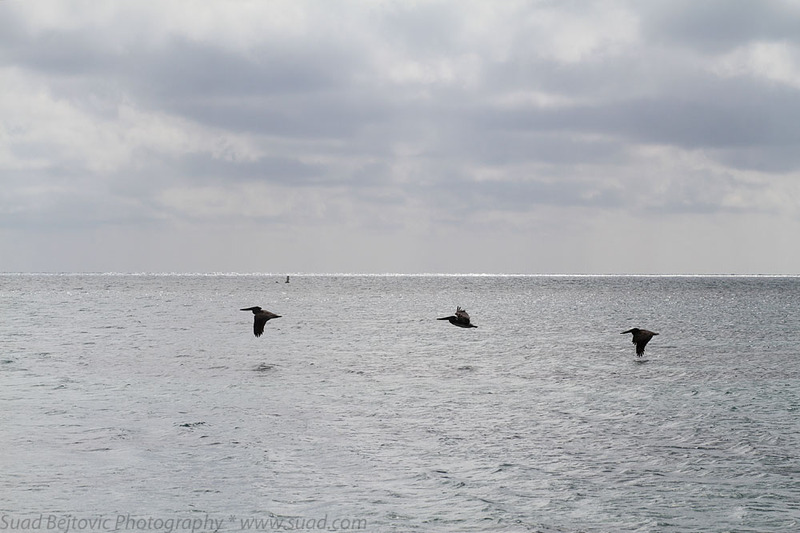 It was easy to see swarms of herons, pelicans, frigate birds and other birds over Long Key. Walking along the other side of Bush Key, I saw this three-bird formation and snapped a few quick photos, of which this one seemed the most successful. Shortly before reaching the sandbar again on the other side, I spotted two birds leisurely walking along the beach in front of me. I had my 85mm lens with me and slowly approached. I managed to take a shot of this guy, and I loved how the photo turned out, but at the time I didn’t know which species he is. I knew I’d have to find out, because I definitely wanted to share the photo here on the blog. I then visited the bookshop at Fort Jefferson, showed the picture on my camera display to the helpful lady working there, and we went through a few books until we determined that this was a blue heron male. He was just turning into adulthood, which you can tell by the little “hair” lock flowing down the back of his head. 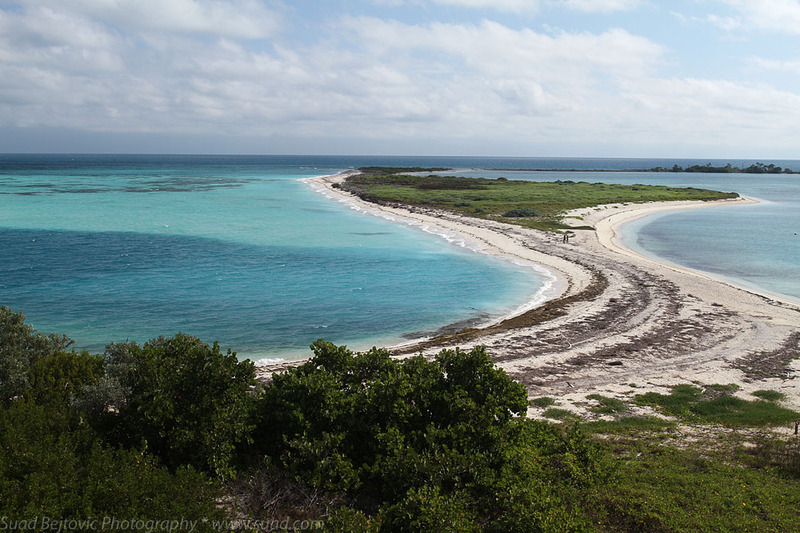 Overall, it takes a while to get to Dry Tortugas NP, but if you do it, you won’t be disappointed, whether you’re a snorkeler, bird watcher, or just a photographer. It’s been more than a year and a half since my last beach vacation (Dubrovnik, Croatia), so I was looking forward to doing absolutely nothing for a week in Puerto Vallarta, Mexico, this January. Of all the activities that the tourist agencies bombarded me with, the only one of any interest to me was the Whale Photo Safari, as it was an opportunity to take photos of wild animals in their natural habitats. 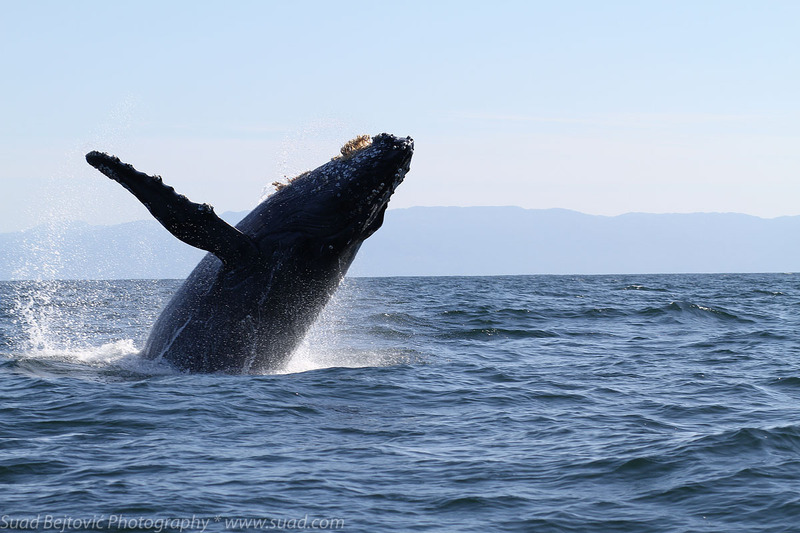 Humpback whales spend most of the year in the cold waters of Alaska, but every winter, they migrate south for breeding; some end up around Hawaii, but most go to Mexico. Seeing all the photos on the brochures, I thought to myself, if I could get just one photo like this, it would be worth it. So, here it is. Let it be said right away that your chances of getting a good photo at this excursion are minimal and greatly depend on a few key factors, with reaction speed as a common denominator. First, if all you have is an iPhone or a point-and-shoot that takes forever to snap a picture, you better just put it away. Catching a photo of the whales (or dolphins) as they breach the water is an exercise in futility, because you have a window of about a second and have absolutely no warning. Further, even if you have a fairly decent lens on your dSLR, it helps if you also have a fast continuous shooting mode; the photo here is the second in a series of 8 that my Canon 7D fired off in only one second. The others are almost unusable, despite sharp focus and a shutter speed of 1/400 sec. This is because, in addition to all the other challenges, the boat you’re on swings violently on the massive waves of the open ocean. In other words, you have to have the camera ready at all times, and scan the waters around you constantly, fighting the motion sickness caused by looking through the mercilessly unsteady viewfinder. And if you’re lucky enough to grab the photo, you won’t care that your horizon isn’t level or that your boat was in a less-than-ideal spot and most of the whale is in shadow and you can’t see well the intricate details on its rugged skin, covered with barnacles and other growth. You’ll be happy that you didn’t puke your guts out and that you enjoyed a truly “Wow!” moment in your life. 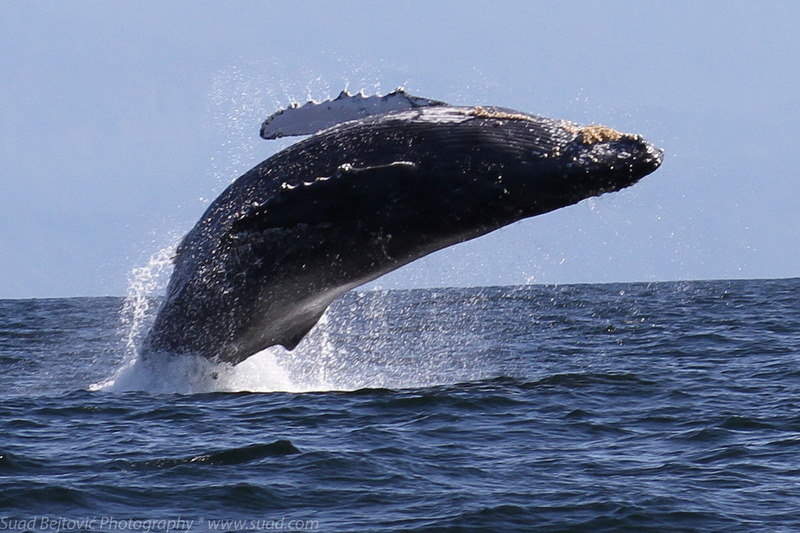 As a bonus shot, here’s another whale breaching a little farther away; however, I cropped the photo to about a 100% so it only appears closer. Notice that the angle is a little more fortunate, so the grooves of the underbelly become more visible.